At this time of year, Lappish Ice Lanterns (Jäälyhty in Finnish) are lovely way to decorate paths and outdoor areas around homes. 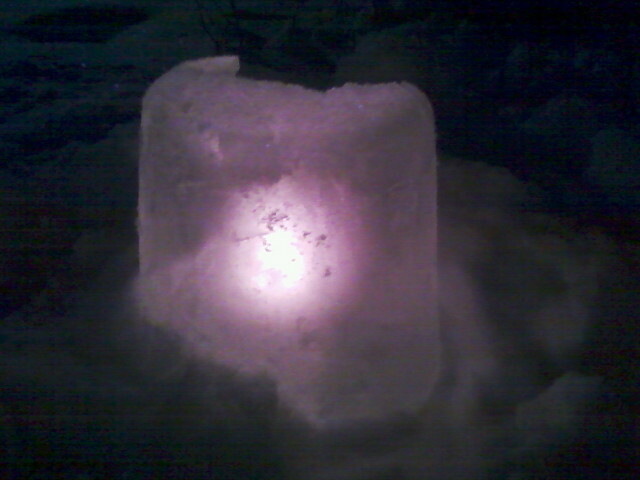 The lanterns are made of ice with a candle and are easy to make. First, you need a bucket. Anything will do, but a plain 10-litre plastic bucket is ideal. This is then filled up with water, leaving a few centimetres to the top (the exact distance is not important, but you just don't want it completely filled). The bucket is then put outside in the snow. Because it is quite cold at this time of year (typically –15 to –30 degrees C), the water in the bucket will freeze. The bucket should be left out for 4 to 8 hours (depending on the temperature). What is needed is that the water only part freezes. When half frozen, you are left with an "ice bubble" (frozen around the outsides, but still liquid in the centre). That is when you need to bring it back indoors. Note that you should never let the ice completely freeze. It will expand and crack the bucket! Next, you put the bucket in the sink, upside down. Let some water run over the outside: the ice will slowly start to melt and, with a loud bang, the ice will fall out of the bucket into the sink. 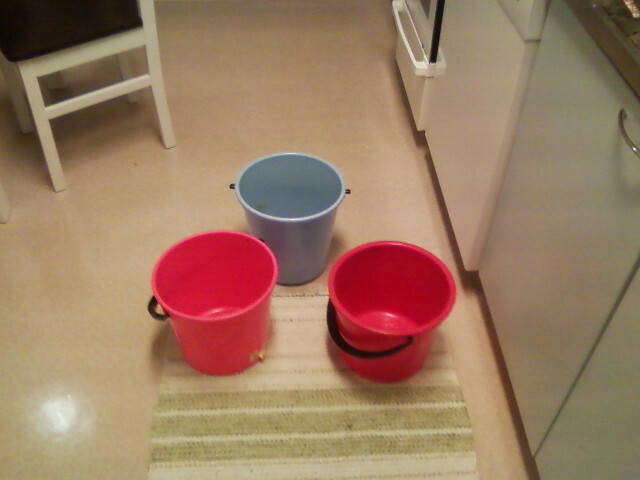 Let some water then run onto the top (which was originally the bottom of the bucket). It will melt through the ice and create a hole. 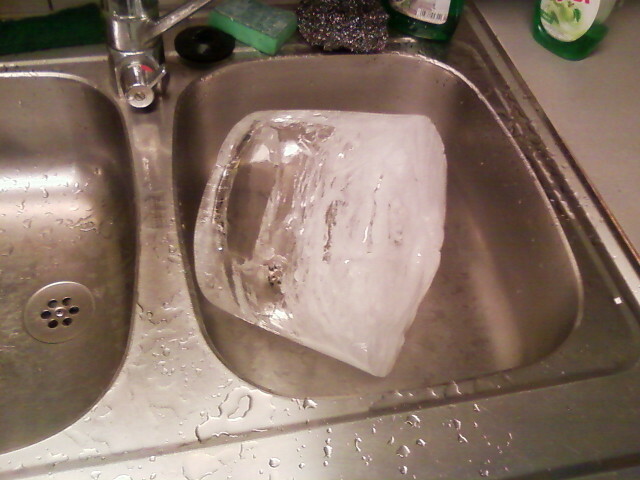 Then tip the ice over and let the remaining water drain out. This leaves an ice shell with a hole in the top. These ice lantern shells can then be taken back outside. Carefully place a lit candle in it and there you go! And that is the lantern! The ice will protect the candle flame from the wind and the frosted ice will make it beautiful to look at. 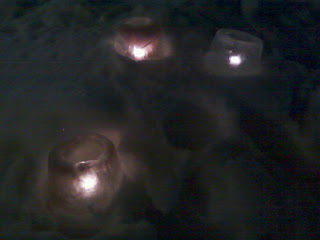 Because the ice will freeze slightly differently each time, the individual lanterns will all be subtly different. Also, you can colour them, but using not plain water, but the left over water from cooking beetroot or tinted with the dregs of pots of tea.